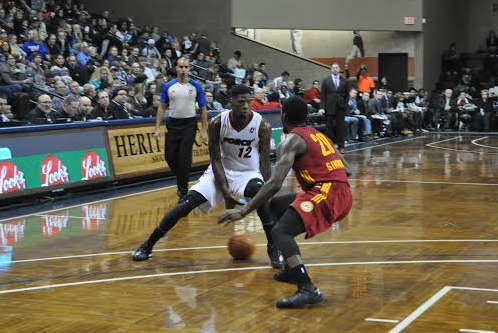 DeAndre Liggins scores two of his 14 points. 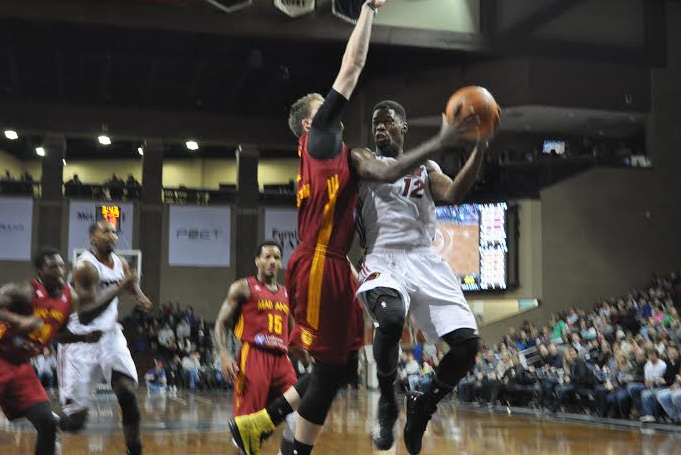 Liggins had a triple double with 10 rebounds 15 assists 14 points. The Skyforce added another W to their winning streak Friday night against the Fort Wayne Mad Ants. This is the Force’s seventh win in a row in double digits for the season. This is the longest winning streak in the NBA D League thus far. 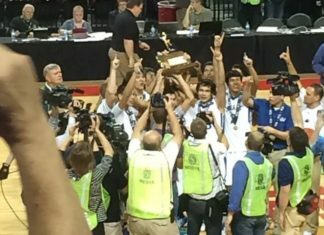 Their impressive performance was played out on Friday, December 18 in the Stanford Pentagon to a crowd of 3,090. 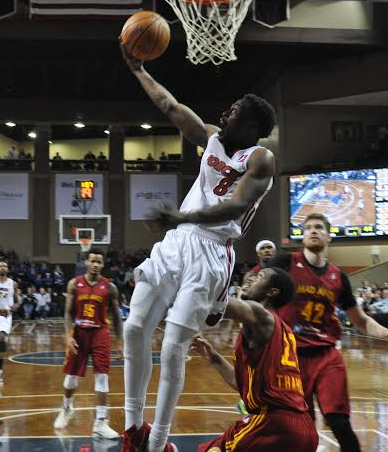 Bubu Palo scores two of his 12 points in the Skyforce 102-91 win over Fort Wayne Saturday night. 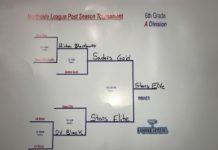 Even with the absence of Stokes and Whittington (Stokes called back to the Heat and Whittington with an injured wrist), the Force still managed to clutch another win. Kelley (12 pts) and Benson (26 pts 13 rebounds) put up high numbers for the Force but the impressive performance of the night was made by Liggins who recorded the first triple double of the season (10 rebounds 15 assists 14 points). The Force’s ability to step up despite the loss of key players proves their ability to adjust while still playing Skyforce basketball; fast paced tempo with constant in your face defense throughout the game. The entire Skyforce bench was utilized in the defeat of the Mad Ants with every player contributing double digit minutes and points on the board. The Skyforce are hoping to continue their winning streak going into next week as they play host to Oklahoma City on Christmas Day at the Stanford Pentagon at 7:00 PM.